Thank you so much for a really really awesome day out. It was fantastic. I loved every minute! Brilliant. And thanks for the great photos. I’m very excited about our next adventure. It was a great trip and as usual you two were phenomenal. 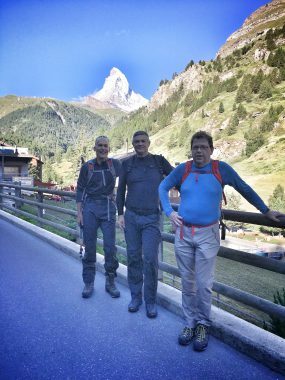 We appreciate all your efforts to maximize our time and experience in Zermatt. Enjoy Norway and stay safe. I was a client on this epic trip last week. Four days of amazing touring in Chamonix topped off with an incredible heliski from the top of Le Petit Combin. 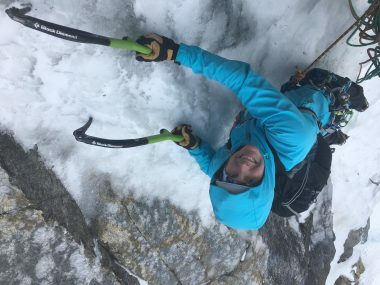 Caroline is a fabulous guide – knowledgeable of the local terrain, excellent at teaching ski touring and mountain safety, and always in tune with her clients. She brings such enthusiasm each day for being out in the mountains, that it is hard to remember she is working. Thanks for an unforgettable week in Chamonix. I wasn’t sure what to expect from the trip but I thought it turned out amazing. You certainly put us through the paces for our first backcountry trip on touring gear. I now have lots of skills to practice on. I hope you have an excellent spring and that the ice stays nice and hard.